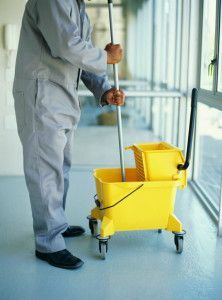 Cleaning procedures have never been an easy task but when you mention “ full building cleaning”, things get even worse. It’s not just the kitchen or the messy living room that needs to be taken care of, it’s every detail in the entire building that should be paid attention to. You are about to move your office to another location, your previous tenants haven’t cleaned the clutter they created or you just need some assistance once the home improvement procedures are done? No matter what your cleaning issue is, you can always count on us to give you a hand and perform the tough cleaning activities for you. Rest assured that our experienced and thoroughly trained cleaning technicians will completely change the look of your property. Regardless of the mess, they will make it ready to move in in a matter of hours. As we have always been trying to keep our reputation spotless and our customers satisfied, the possibility of re- cleaning should be taken into account. In other words, if you have a remark or you are just discontent with the service provided, the cleaning team will come back and you don’t have to pay extra for that. The quality of our services is second to none. Your property will undergone a thorough cleaning process from the top to the bottom, you will get internal and external cleaning. All the dirt and dust will be removed in no time due to the powerful and yet harmless to the environment cleaning supplies we use. 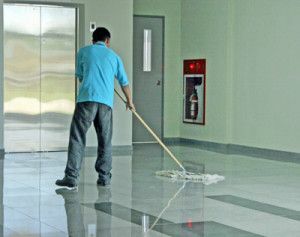 Booking a full building cleaning service with us is the only method that guarantees dust and bacteria – free environment but contrary to a popular belief, it shouldn’t be performed when the building needs urgent attention. Full building cleaning at least once a year is recommended for preserving the good condition of the property for the years to come. Your employees will feel comfortable in their new office building, finding potential tenants will not be that hard because everybody would appreciate a well – maintained property, the thick layers of dust and plaster the construction crew left of the floor will be removed in the blink of an eye. And the best of all is that you don’t have to spend a fortune on that. Our full building cleaning package includes all the procedures intended to make a property cleaner than ever but they will be adjusted in accordance with your schedule and preferences. The cleaning procedure will be performed in the most convenient to you time since we are pretty flexible. Our have extended working hours and our services are available at any time, even during the holidays. It is important to note that there are no additional fees that apply if you decide to book a full building cleaning on, say it, a bank holiday. What are you waiting for? Don’t waste any more time. Get in touch with us promptly and you will see that we are a popular cleaning company for a reason.